Joanna Figueroa of Fig Tree & Co. has created a beautiful sampler quilt pattern book. Mary Cowan has given it a couple of different looks - Modern and/or Reproduction fabrics. Choose your own fabric and learn new techniques as Mary makes it fun and easy to learn as she teaches this Technique Block of the Month. This class is for the confident beginner to the experienced quilter, using basic piecing techniques and some applique. 3rd Thursday of each month 6:00pm - 8:30pm. An attitude ready to have fun and learn new things!! Notes: It seems like a lot of fabric BUT, I had 3 people check it and it is correct. Mary Cowan began quilting about 26 years ago when her husband bought her the book Quilts, Quilts, Quilts. Her love for fabric, sewing and quilting, along with her quest for all the latest greatest patterns has evolved over the years into designing her own patterns. 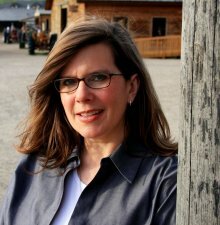 Mary has a Bachelor of Fine Arts degree specializing in graphic design from the Rochester Institute of Technology. 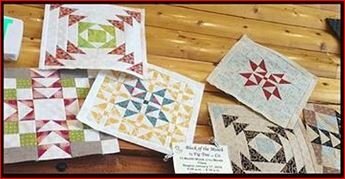 Her pattern company, Mary’s Cottage Quilts is named after a family owned cottage in upstate New York.